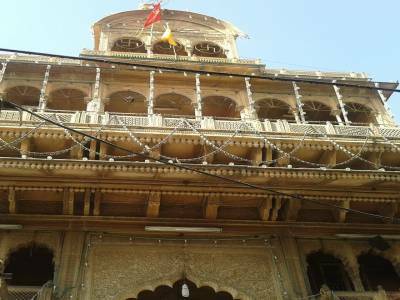 The Banke Bihari Temple is a temple dedicated to the youthful memories of Lord Sri Krishna. The city of Vrindavan is the holy city for the people of Hinduism because this is the place where Lord Sri Krishna, the eighth avatar or incarnation of Lord Vishnu, spent his childhood days and his lovable teenage time. The city of Vrindavan is filled with temples and gardens dedicated to the life of Lord Sri Krishna. There are mainly seven such temples that are devoted to different phases of Lord Sri Krishna’s youth. 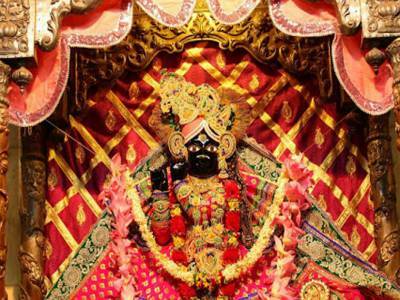 The Banke Bihari Temple is among that lot and is depicts the tribhanga pose of Lord Sri Krishna. The Banke Bihari avatar was mainly worshipped by the devotees of Lord Sri Krishna from Nidhivana but later it was done by every Krishna lover. The main idol was granted to Swami Haridas by the celestial couple Radha-Krishna, who appeared in person in Nidhivan (within Vrindavan) in 15th century AD. The Shri Banke Bihari Temple premise is clean and Lord Shri Krishna idol is very special & very attractive. The literal meaning of the word banke means bent and that of the word bihari means one who enjoys anything supremely. Thus the literal meaning of Banke Bihari Temple translates to the abode of the supreme enjoyer that is Lord Sri Krishna. The phase depicted in the Banke Bihari Temple is that of Lord Sri Krishna playing his flute in the Vrindavan with a garland on his neck all while standing in a tribhanga pose and enjoying the playful banters with friends and gopinis. The Banke Bihari Temple is a must visit place for all Sri Krishna devotees and is extravagantly decorated during JhulanYatra and Raas Purnima. 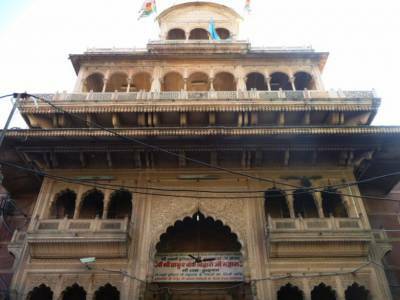 Being located in the heart of Vrindavan in Mathura of Uttar Pradesh, the Banke Bihari Temple is very easy to reach. Approach to the Shri Banke Bihari temple is through a narrow by lanes. Autos and Cycle rickshaws are allowed up to certain point, beyond which visitors has to walk. 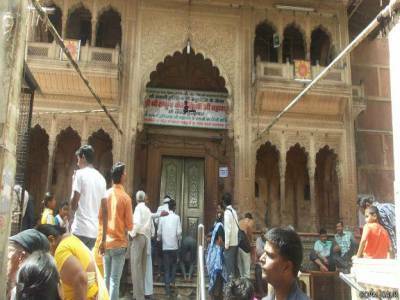 Get quick answers from travelers who visit to Banke Bihari Temple.